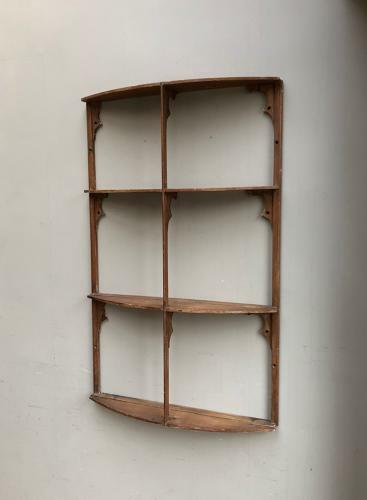 Unusual antique pine wall shelves. Ornate, very decorative & narrow. There is a plate recess to display plates but they must have been small plates - Perfect for bottles in a bathroom or spice jars, jugs, ornaments etc. Holes to fix to the wall. Too large to post so has to be collection or sent by courier UK £45 (Not including Scotland).